Gisele is once again showing the world the good and simply pleasures of nature. 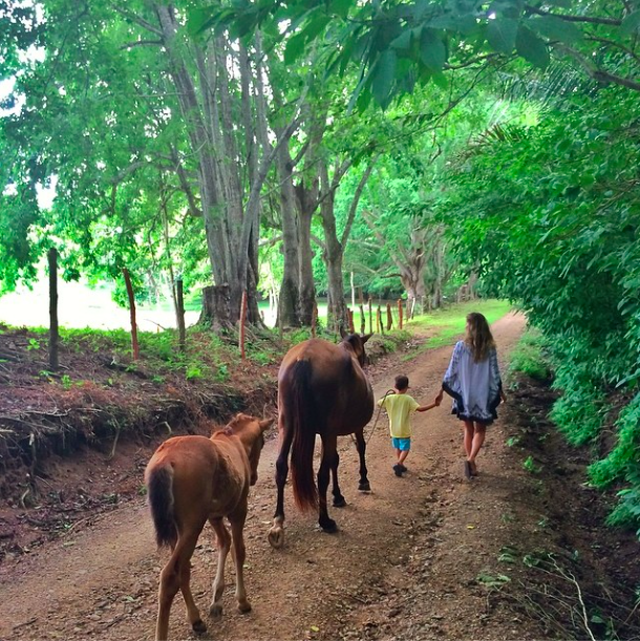 Just last night Gisele Bundchen shared a look at a day out with her son in Costa Rica while on vacation with the family. The shots begin with mother and son leading two horses down a long dusty path. Such an adventure surely requires a bath post trail hike. And that's exactly what happened next. 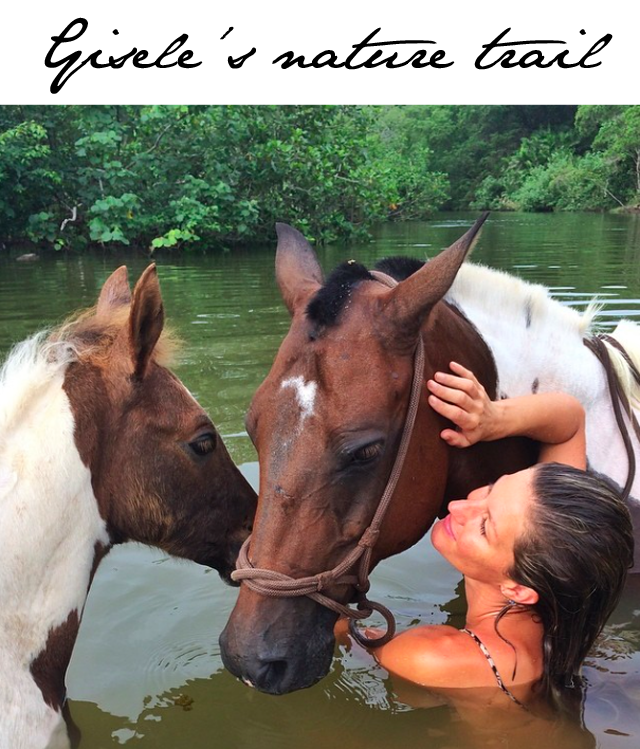 Gisele took to the water with her two horsey friends and took a picture we'd expect to see in a shot by Mario Testino, not on instagram. Yes, Gisele is winning at the game of life and the game of instagram.